Q&A with Rhonda Fleming Hayes, Author of "Pollinator Friendly Gardening"
Rhonda Fleming Hayes has gardened since she was a child and has cultivated her green thumb everywhere from her native California to the south, Midwest, and England. She is an award-winning garden writer who pens a column for the Minneapolis Star Tribune and inspires readers of Northern Gardener magazine with unique garden profiles and her ongoing “Kitchen Garden” feature. She has also won the Garden Writers Association silver award and been published in Minnesota Gardener, Savannah Magazine, and Mother Earth Living among others. She is a Master Gardener and public speaker, who always encourages her audience to plant for pollinators. Rhonda’s latest release is “Pollinator Friendly Gardening” which helps you grow a naturally healthy garden by making sure your local environment helps bees, butterflies, and birds survive and thrive! Read on for more information about this book and find out how to win one of two copies, courtesy of The Quarto Publishing Group! 1. Why is pollinator conservation important and how can we become advocates for this cause? Pollinators help plants reproduce as well as create the genetic diversity needed for healthy ecosystems all over the world. Bees are responsible for every third bite of food we eat like almonds, tomatoes, melons and berries. Without bees are diet would be lacking color and flavor not to mention important vitamins and minerals. Habitat destruction is responsible for much of pollinator decline. Gardeners can make up some of this deficit right in their own backyard. Pollinators need food, safety and places to raise their young. You can provide this by planting more flowers and avoiding the use of harmful pesticides. 2. Your book espouses a holistic approach to pollinator gardening. What is this and why is it important? Pollinators also suffer when their habitat is fragmented. They can’t survive if they have to travel long distances between available food, water and nesting sites. Instead of designating a single flower bed or part of your yard as a “pollinator garden” think of the entire garden as pollinator habitat. They need more than just pretty flowers. Pollinators use different parts of your yard depending upon the stage of their life cycle. For instance butterflies may need flowers for nectar but their larvae (caterpillars) need to eat specific types of host plants in order to survive. Surprisingly trees rather than flowers often account for larval host plants. Wild bees need flowers for nectar and pollen as well as bare soil, hollow stems or natural cavities for nesting sites depending upon the species. 3. How does your book help gardeners make a meaningful impact in encouraging and supporting pollinators in their gardens? 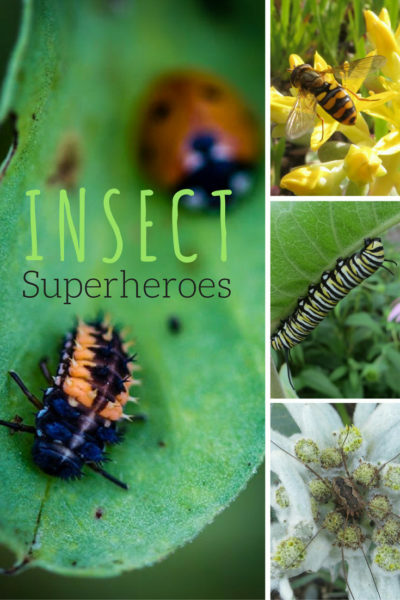 It translates the science behind different pollinator life cycles and behaviors enabling folks to understand how to make small changes/additions to your garden that effect positive changes for pollinators. It encourages people to “plant it forward” using their gardens as examples that will inspire others to do the same in turn creating habitat corridors. 4. What are some of your best tips for designing pollinator friendly gardens? Evaluate your existing yard for habitat value. If you already have particular pollinator favorites consider adding more of the same. Pollinators appreciate large swaths of the same plant eliminating their need to travel great distances for food. Add more plants that bloom at different times to provide a continuous food supply. Add three plants at a time one for each season. Use annual flowers to fill in any gaps that might occur. If possible leave some parts of the yard away from play areas and foot traffic un-mulched for wild bee nesting sites. 5. What are folks most surprised to learn when it comes to pollinator friendly gardening? What is the most fascinating thing you have learned? The more you provide for pollinators the more interesting, beautiful and carefree your garden will become. I love to watch bees as they go about their work. I’m always amazed at how many different species visit my garden. 6. What’s in your garden? I have a wide range of pollinator favorites. I grow several types of milkweed for monarchs. The zinnias in my kitchen garden are always covered with numerous butterfly species. Bees forage among the alliums, poppies, sedums, salvias, heleniums, asters, goldenrod among others. They also love my hedge of rugosa roses and raspberries. We have a linden tree that draws them as well. In the height of summer you can hear my garden. It literally buzzes with bees. WIN ONE OF TWO COPIES OF “Pollinator Friendly Gardening“! What pollinator friendly plants would you like to plant in your garden? UPDATE 1/29/2016: Congratulations to Allison Chan and Ruth Little, the winners of the Pollinator Friendly Gardening book giveaway! 16 people are already talking about this. I would like to plant Liatris! Working on planting as many natives as feasible. Love sedum, salvia, black eyed susan and aster among others. I love the zinnias so I will plant them in the garden this year. I have a lavender plant too that always attracts the bees, so I'd like to add a few more of those. Thanks for the opportunity to win this book. It looks great! I have planted a wildflower meadow under my fruit trees and a creeping thyme pathway through the center of my yard in order to attract as many pollinators as possible. There isn't a day that goes by that I don't enjoy butterflies and bees. I've planted a bunch of alliums for this year, but know I need more summer reccommdations that can cope with part shade, heat and humidity for increased pollinator activity in my yard. I have a fairly large diverse garden with 3 mason bee houses, where I raise a new generation every spring. I will add some alliums & zinnias this spring for the butterflies. Always looking to learn a little more ! We have a variety of pollinator favourites in our garden. These range from alliums, poppies, sedums, salvias, flowering crab apples, lindens, snapdragons, Ure pear tree, just to name a few. However, we would love to learn more that this book would offer. I love to plant sunflowers for the birds and bees. I would love to help pollinators out in my garden! I can't wait to get started learning from this book! I am new to outdoor gardening and want to know more about natural pollination. Looking forward to reading this book! I know very little about gardening for pollinators. However, I got a small twig Crown Flower and stuck it in the ground about 2 years ago. It is very large and has attracted beautiful Monarchs and some Bees!!! I am very interested in having more little pollinators flying around the neighborhood!